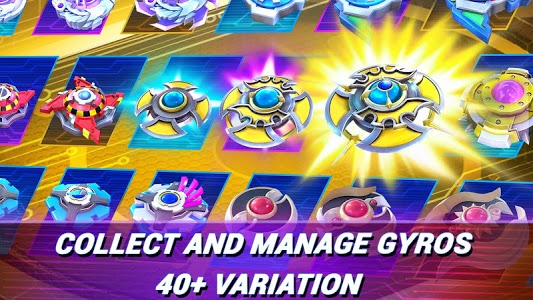 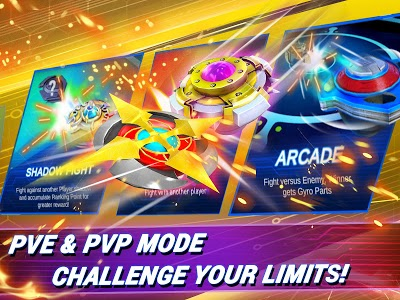 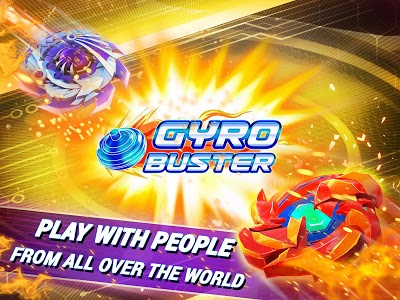 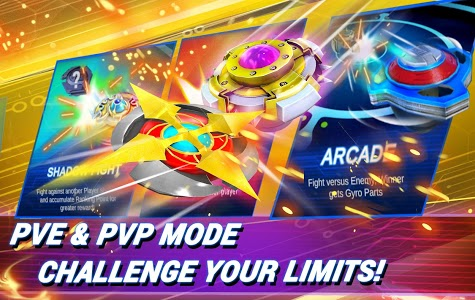 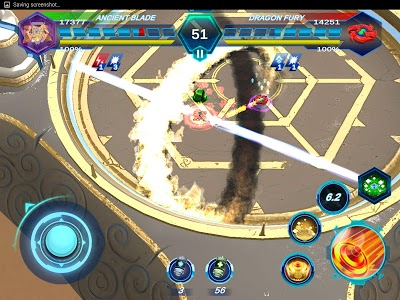 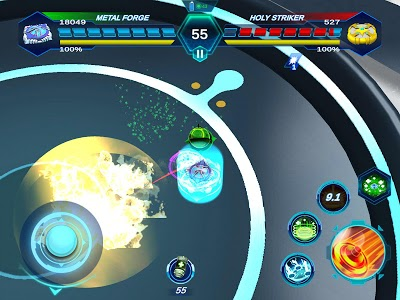 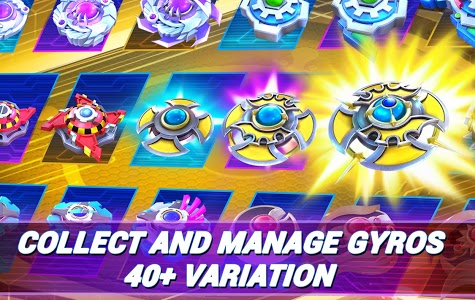 Gyro Buster is an online spinning top game versus AI. 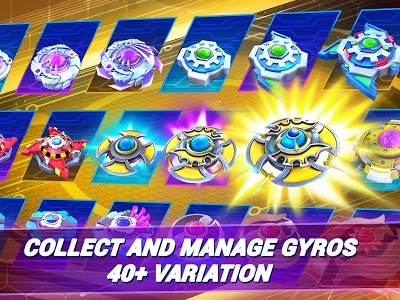 Choose your favorite Gyro to upgrade and make your Gyro stronger. 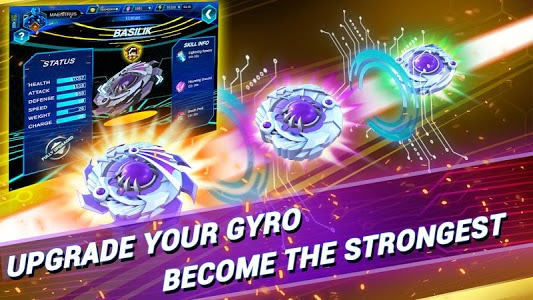 Each Gyro is equipped with tight control and special skills to clash with your opponent. 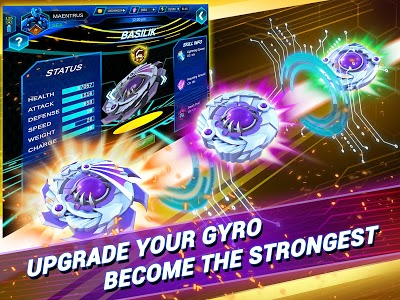 Eve Star is reliable gyro and also very good for the initiator. 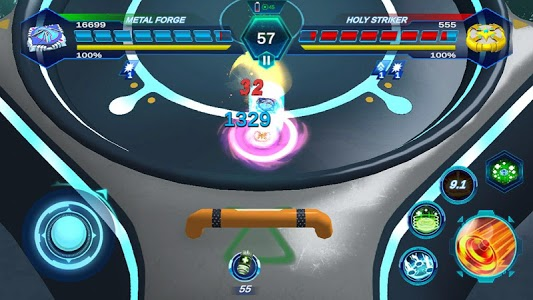 => Snowball: Shooting snowball to gyro enemy which has 1000 damage and stun for 1s. 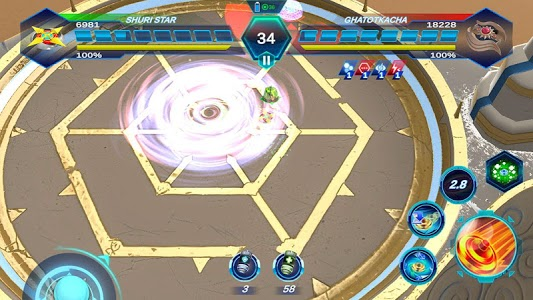 => Star Streak: Strike the gyro enemy with Star projectile and cause 100 damage each star for 3s. 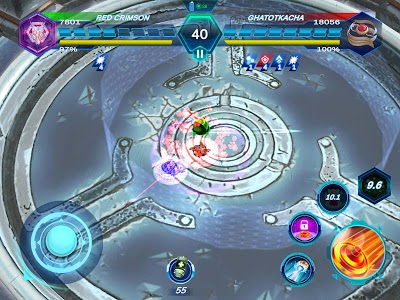 => Big Ball: Become big Snowball and make Gyro Invisible for 4s, Gyro can't be moved when becoming SnowBall. 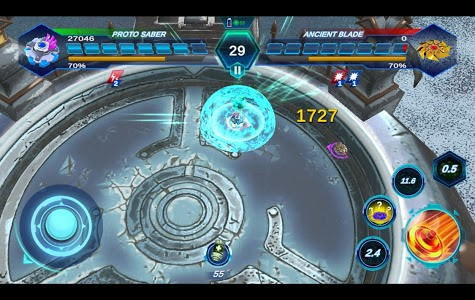 Robotic Gyro equipment floating around the gyro player. 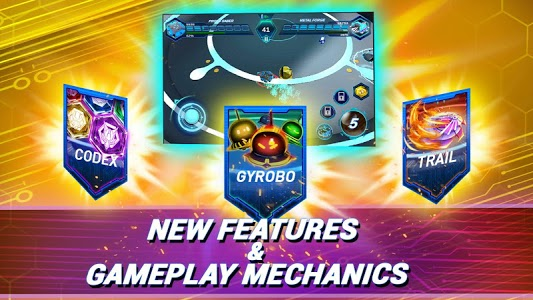 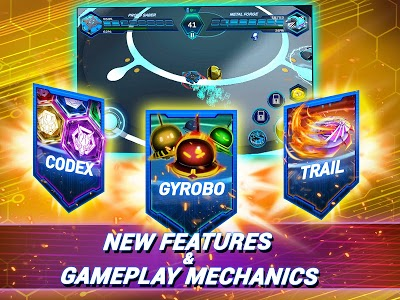 When used, Gyrobo will add one active skill to the gyro player. 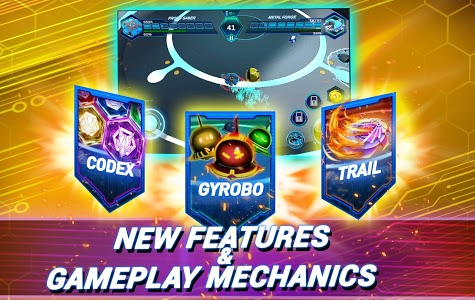 Equipment installed on Gyro can provide additional stat, Trail can be upgraded with material. 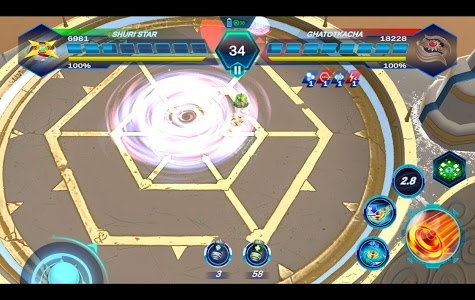 Powerfull Equipment his power is based on chance on hit. 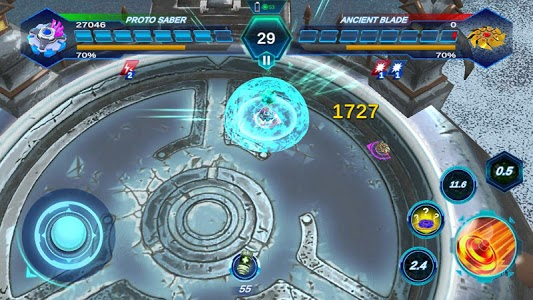 Gauntlet: This mode requires the player to survive waves of enemies while fighting a Boss at the final wave, where you can fight One by One against AI to gain their Gyro Part and Gauntlet Mode where you survive against series of Gauntlet ending with the final Boss. 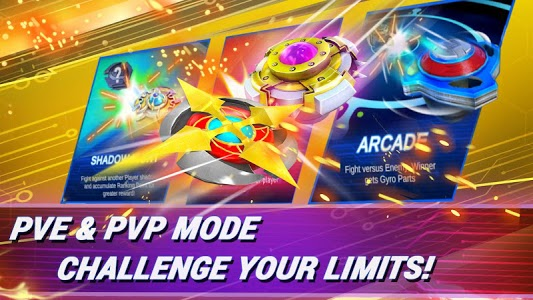 Arcade: This mode requires the player to beat an enemy in every stage with different difficulties. 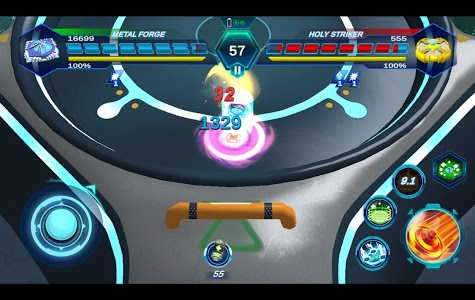 There are 3 sections of difficulty (KILO, MEGA, GIGA). 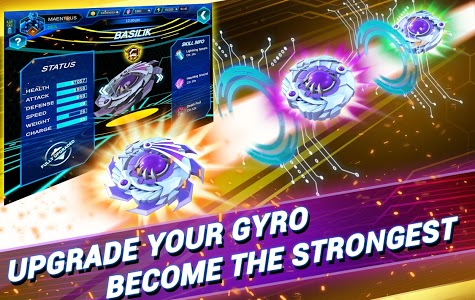 Beat them all to Upgrade your Gyro! 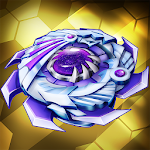 Fight against other players on Shadow Fight and get the Top Rank! 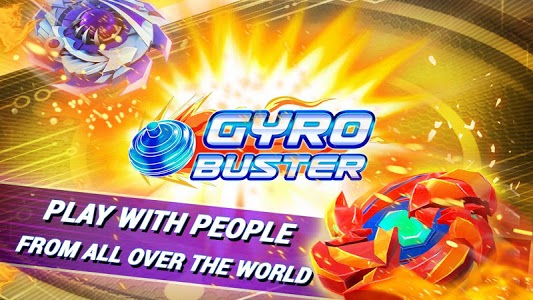 We’d love to hear from you so leave a review and tell us what can we do to improve Gyro Buster! 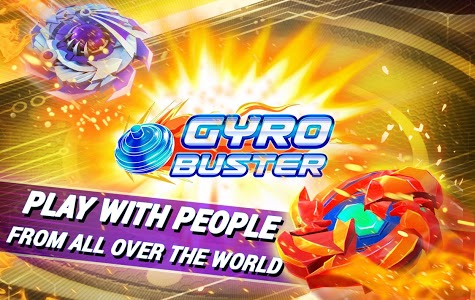 Stay tune for Gyro Buster on any social media to get a special voucher!